We collect information from a wide range of viewpoints. Posting material here does not constitute an endorsement. The ideas and thoughts expressed are those of the authors. This annual survey of employers provides a detailed look at trends in employer-sponsored health coverage including premiums, employee contributions, cost-sharing provisions, offer rates, wellness programs, and employer practices. The 2018 survey included 2,160 interviews with non-federal public and private firms. Annual premiums for employer-sponsored family health coverage reached $19,616 this year, up 5% from last year, with workers on average paying $5,547 toward the cost of their coverage. The average deductible among covered workers in a plan with a general annual deductible is $1,573 for single coverage. Fifty-six percent of small ﬁrms and 98% of large ﬁrms oﬀer health beneﬁts to at least some of their workers, with an overall oﬀer rate of 57%. Survey results are released in several formats, including a full report with downloadable tables on a variety of topics, a summary of findings, and an article published in the journal Health Affairs. Health Benefits In 2018: Modest Growth in Premiums, Higher Worker Contributions at Firms with More Low-Wage Workers, More Workers Face a Deductible. The annual Henry J. Kaiser Family Foundation Employer Health Benefits Survey found that in 2018 the average annual premium for single coverage rose 3 percent to $6,896 and the average annual premium for family coverage rose 5 percent to $19,616. Covered workers contributed 18 percent of the cost for single coverage and 29 percent of the cost for family coverage, on average, with considerable variation across firms. Eighty-five percent of covered workers face a general annual deductible before they use most services, including the 29 percent of covered workers who are enrolled in a high-deductible health plan with a savings option. The share of firms covering services provided via telemedicine has increased steadily over the past several years. Nearly a quarter of large employers expect the elimination of the individual mandate to result in lower take-up in plan offerings. This entry was posted in Benefits, Health Care on October 12, 2018 by afscme. From protests around climate change and immigrant rights, to Occupy, the Arab Spring, and #BlackLivesMatter, a new generation is unleashing strategic nonviolent action to shape public debate and force political change. When mass movements erupt onto our television screens, the media consistently portrays them as being spontaneous and unpredictable. Yet, in this book, Mark and Paul Engler look at the hidden art behind such outbursts of protest, examining core principles that have been used to spark and guide moments of transformative unrest. With incisive insights from contemporary activists, as well as fresh revelations about the work of groundbreaking figures such as Gandhi, Martin Luther King Jr., Gene Sharp, and Frances Fox Piven, the Englers show how people with few resources and little conventional influence are engineering the upheavals that are reshaping contemporary politics. Nonviolence is usually seen simply as a philosophy or moral code. 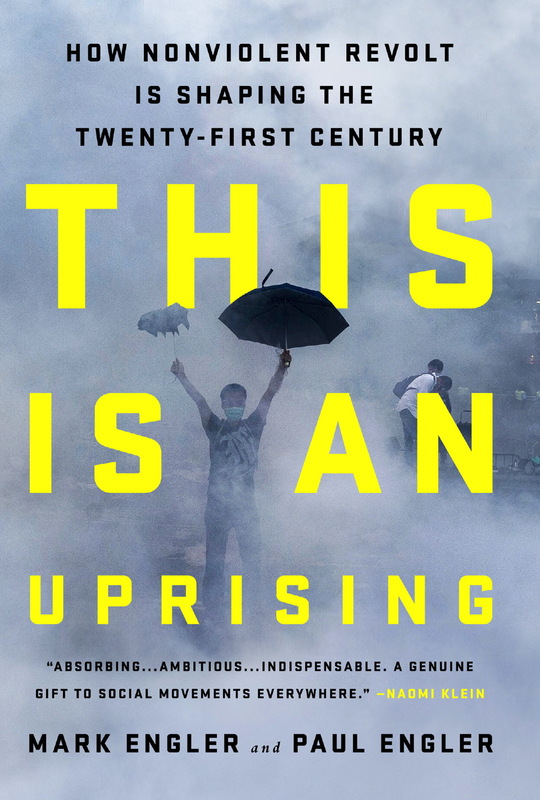 This Is an Uprising shows how it can instead be deployed as a method of political conflict, disruption, and escalation. It argues that if we are always taken by surprise by dramatic outbreaks of revolt, we pass up the chance to understand a critical phenomenon—and to harness its power to create lasting change.